I've been thinking about doing a series of posts about sewing basics. I want to share some of the going-by-the-rules, "classical" sewing steps that I learned while I was growing up, as well as some of the internet resources that are really helpful to me now. So, here goes! There are free patterns and tutorials online for all kinds of projects, but I'm going to talk about making a project where you need to buy a pattern. What we used to do in the old days was go to the fabric store, sit down at the pattern books area, and thumb through the pattern book until I found a pattern I wanted to make. Then Mom and I would look for fabric, and buy the pattern, fabric, and notions and then go home and I'd start my project. Now, I don't live so close to the fabric store, and I have small people that don't love fabric shopping, so I search for patterns online. The "big 3" pattern companies, Butterick, McCall, and Vogue, are all found here. You can pick a pattern brand and then search their pattern catalogs by category. Simplicity and New Look pattern catalogs are also available online here, and you can find Burda patterns online as well. This pretty much covers the patterns you can buy at JoAnn or Hobby Lobby. We also have a Hancock fabrics near where I live and they sell KwikSew patterns there along with the others. So--find a pattern you like, or a few, and write down the brand and number. Next, you can go to Pattern Review and search for reviews of the patterns you like. Pattern Review is a great website where you can find out other people's experiences using the patterns you are interested in. You'll find out if the sizing was off, how the directions were, and what others have done for altering the pattern for better fit. You'll also get to see pictures of other people's finished products. 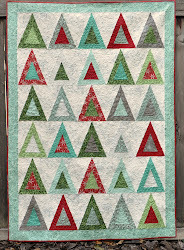 Using the resources at Pattern Review, you can determine which pattern you want to buy. The next step is going to the store to buy it. For big 3 patterns, I like to wait for a sale. You can sign up at JoAnn and Hancock's for mailers, and then get notification of all the sales. I don't buy patterns from these stores unless they are on sale. Usually when there is a pattern I want to buy, I only have to wait a few weeks before that particular brand is on sale, usually for a dollar or $1.50. There are lots of other patterns in the world besides the big 3, and you can also read reviews of these patterns at Pattern Review. I use Ottobre Design patterns a lot for kids' sewing, and I've also used Jalie and Kwik Sew too. Here are Pattern Review's top patterns of 2008. Coming soon--shopping for fabric. Fun! Yeah! I'm very new to sewing so this will be great for me! I'm also a new follower of your blog. Thanks for sharing your projects and knowledge with the rest of us. I have a question. I've been looking for a shirt pattern with no luck. I wondered if you had run across anything like this: women's shirt with a peter-pan type collar, button up? It may not be the current style but I'd love to make one. Thanks. I enjoy following your blog. I also love sewing and find it to be great therapy.